This service will help you boost your traffic and improve your web marketing strategy! Get HIGH rankings in Google! Let’s talk about getting your site -- or your client’s site -- to the top of Google’s search results. When your site rises on Google’s SERPs (Search Engine Result Pages), a massive increase in website traffic often follows, followed by a massive increase in the money you earn online as your site moves up in rank. 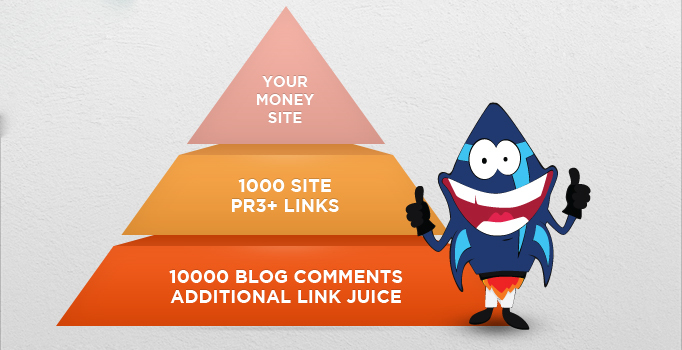 Best Link Pyramid Service + 10000 Blog Comments + Unique Backlinks is ranked 5 out of 5. Based on 2 user reviews.